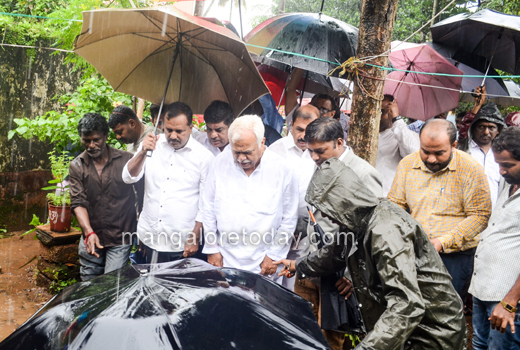 Mangaluru, June 14, 2018: State Minister for Revenue and Skill Development R V Deshpande has said that a sum of Rs 3 crore each has been released for Dakshina Kannada and Udupi districts as emergency relief to mitigate the hardships caused and loss incurred due to heavy rains in the two districts. 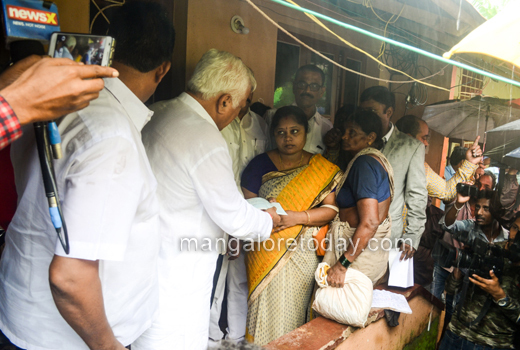 The Minister visited Bejai Anegundi where a few houses were damaged due to tree fall. 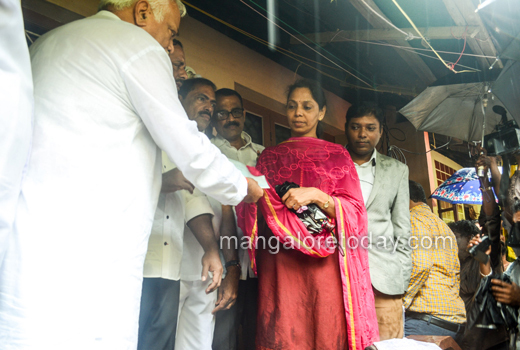 As an emergency relief he handed over cheques of Rs 1.19 lakhs each to the affected use owners Bhavani and Anuradha. 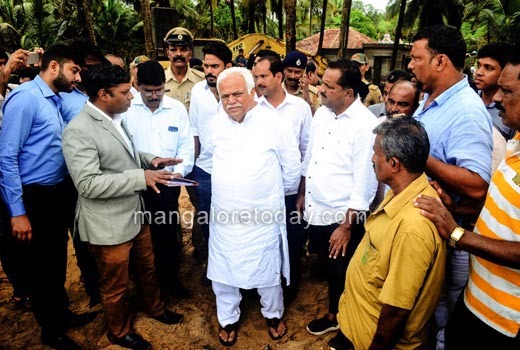 All district administrations must reserve Rs 5 crore for natural calamity relief and undertake relief measures on a war footing, he said. 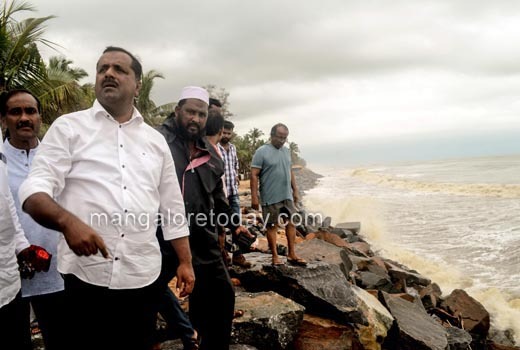 On the traffic related woes arising out of land slip at Charmady Ghat, he said the road would be opened for traffic no sooner it is considered safe for travel. 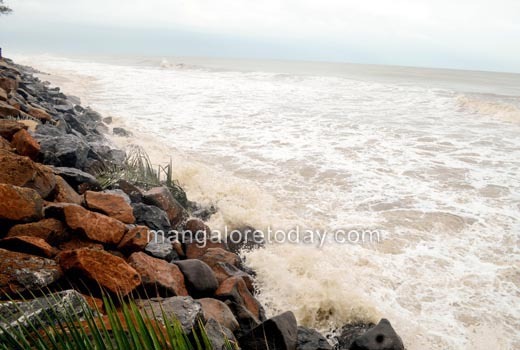 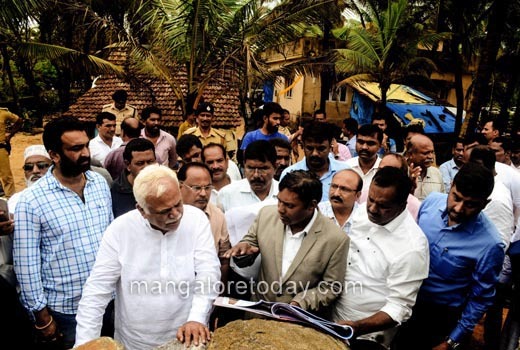 Deshpande visits sea-erosion hit areas of UIlal : The minister also visited Someshwara-Uchila and Ullal areas which are facing the brunt of sea erosion and spoke to the affected people. 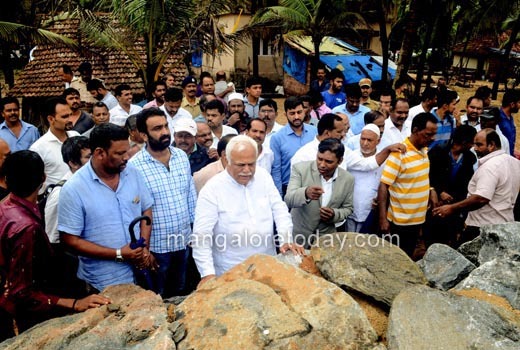 He also inspected the sea wall works. 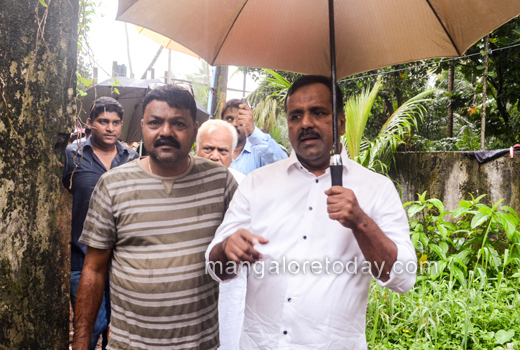 State Minister for Urban Development U T Khader, Mayor Bhasker Moily, MLC Harish Kumar, Deputy Commissioner Sasikanth Senthil, MCC Commissioner Mohammad Nazeer and others were present.